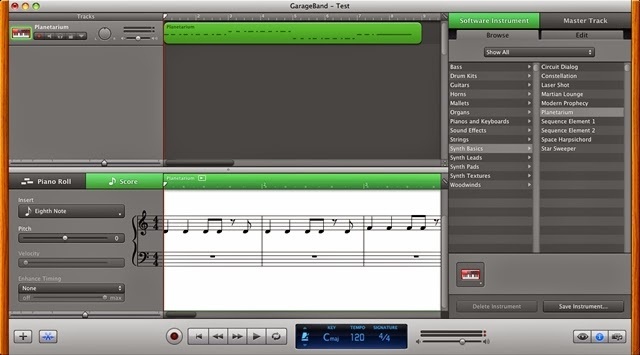 Firstly, I am creating a test project in GarageBand. I set the Count In as the click and countoff (this is what I understand what it is). I also turned on the Metronome so I could follow the tempo of the project that I have set, which is 120. Then, I created a new track selecting Software Instrument. 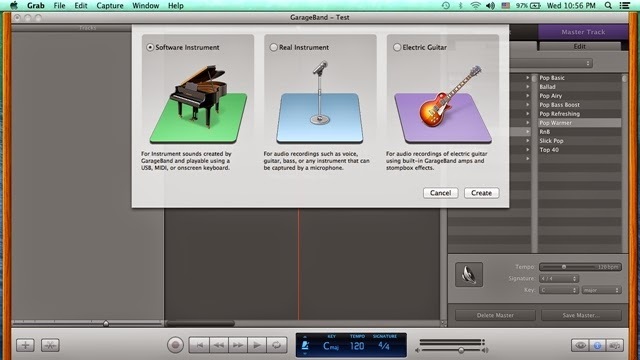 I can select which software instrument to be used from the right menu on the right of GarageBand. 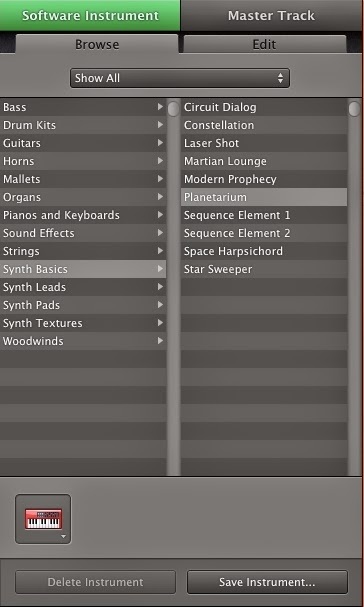 I selected the Planetarium from Synth Basics category. GarageBand will change the track name according to the selection automatically. I still can change the track name before recording. However, whenever a new software instrument selected on the same track, it will be renamed again, automatically. Finally, I selected the track that I wanted to record to, and click the record button. 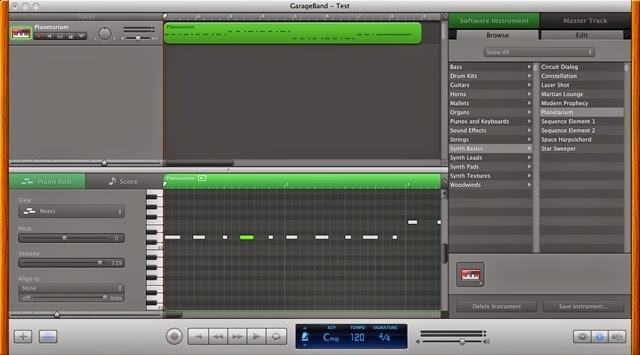 As we know, MIDI is something like a real time score, which can be view in GarageBand right away by showing the track editor. Editing the score actually will change the note played by the software instrument. 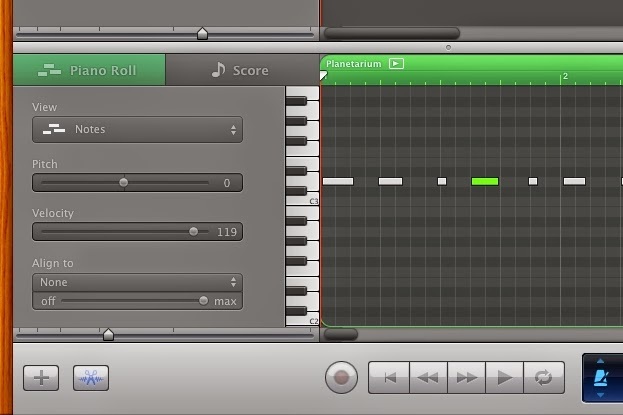 You can view it in piano roll as well. See the following screen shot. 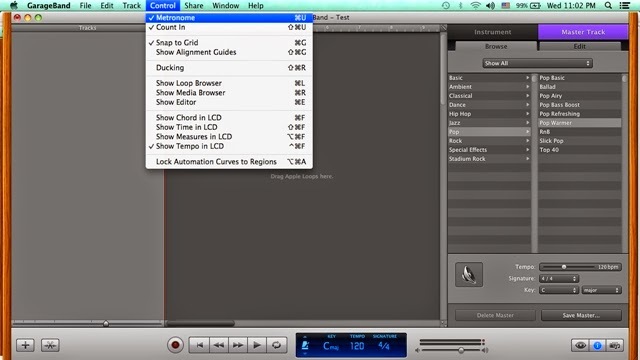 To change the velocity of the note(s) in the MIDI track. 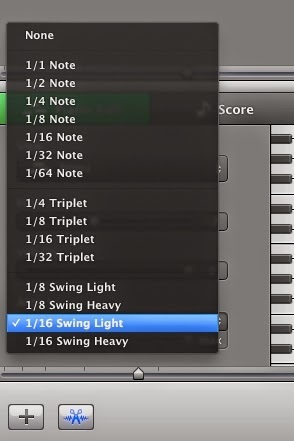 Firstly, select the note(s), then go the the left pane of the track editor, modify the velocity of the selected note(s) by scroll to the left or right at the velocity control. From the illustration below, the velocity of the selected note in green is 119. 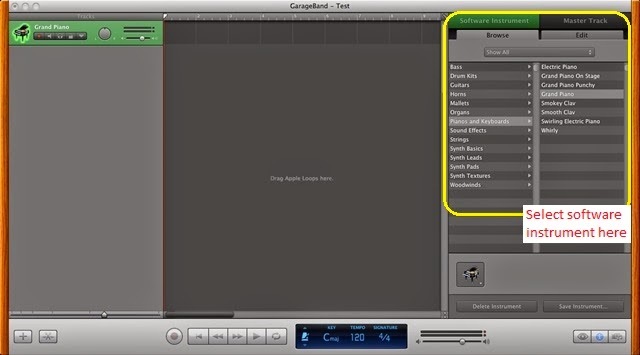 GarageBand provide the quantize function by the "Align to" control, the control at below of the Velocity control. The off to max bar indicates the percentage of quantization mentioned in the lecture. I mixed down the recording and uploaded the file to SoundCloud. This is the audio file "generated" by the software instrument that I chose in GarageBand in this blog post. Thank you for taking your time to go through this blog post. Hope you enjoy reading it, as I enjoyed preparing for this. Have a great day!